A light foaming gel cleanser formulated to gently cleanse excess oils and impurities from the pores whilst Mineralised Zinc regulates oil production to minimise future blockages. The skin is refreshingly cleansed without feeling stripped or dry. Non-comedogenic. 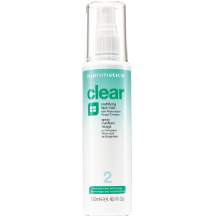 This invigorating toner completes the cleansing process, firms the pores, mattifies the skin and prepares it for hydration. Formulated with Mineralised Zinc and packaged with a mist sprayer for quick fuss-free application. Non-comedogenic. This lightly-textured gel-lotion is enriched with Mineralised Zinc to regulate the skins oil production while at the same time ensuring a long-wearing shine free finish. 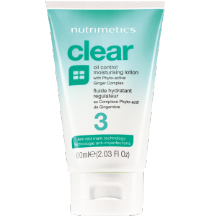 Provides balanced hydration to leave skin soft and comfortable without clogging the pores. Non-comedogenic. Dermatologically tested. 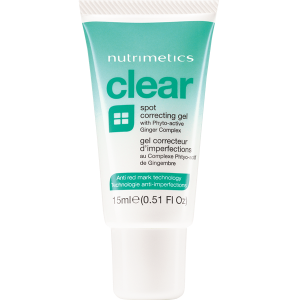 This high-performance anti-blemish gel features Mineralised Zinc to regulate oil production and Salicylic Acid to minimise the appearance of spots. Mattifying powder ensures shine-free wear. 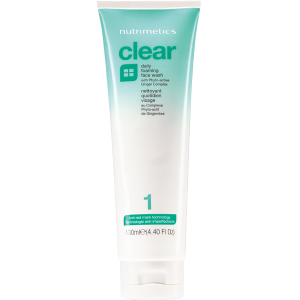 Formulated to assist the treatment of spot-prone skin and minimise the appearance of breakouts. Non-comedogenic.